We offer unique Organic CBD Oil Blends unlike any other CBD Oil Company out there. Our Formulator has added Organic Plant Terpenes to our Organic Full Spectrum CBD Oils which have been proven to enhance the bioavailability and effectiveness of certain Cannabinoids. Our Cutting Edge Formulators are amongst a select few who are adding Organic Plant Terpenes to Full Spectrum Hemp CBD Oil and are paving the way for more Scientific Research to be done in the near future. This makes our Organic CBD Oil Blends unique in their healing benefits. We are proud to provide the “Rolls Royce” of all CBD Oils and stand behind the fact that we are always providing the most Nutritionally Dense Organic Products in the World. Where Does Our CBD Oil Come From and Where Is It Produced? Our Full Spectrum Organic CBD Oil is made from Organically Grown Colorado & Oregon Hemp and is formulated and produced in California. Full Spectrum refers to using all of the plant parts to ensure that our Oil contains the highest nutritional profile possible. Our CBD Oil contains not only the Cannabinoid CBD but also over 100 Plus highly effective Cannabinoids, Phytonutrients, 100 Plus Terpenes, Antioxidants, Vitamins, Minerals, Enzymes and Amino Acids. People often report that they need to use less of our CBD Oil than other Oils they’ve used in the past. What Symptoms Can CBD Help? Pain, Anxiety, Insomnia, Seizures, Tremors, Tumor Growth, Inflammation, Digestive Disorders, Immune System Disorders, Depression, PCOS, Hormonal Imbalances, High Blood Pressure, High Blood Sugar, Metabolic Disorders, PTSD, ADHD, Memory, Cognition, High Cholesterol, Hair Loss, Bone Loss, Skin Disorders, Allergies, Asthma, POCD, Low Energy, and so much more. How Should Our Products Be Used? CBD or Cannabidiol is a natural compound produced by the Cannabis or hemp plant. CBD possesses amazing healing properties due to its action on the endocannabinoid system, which is present throughout the body people and animals. When the endocannabinoid system is functioning optimally, the body is better able to preserve homeostasis or balance for enhanced health and wellness. Our Organic CBD Oil is non-toxic, non-habit forming and non-psychoactive. 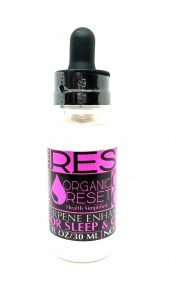 Organic Reset CBD Oil does not produce a “high” as it does not contain marijuana, THC or any other psychoactive compounds. CBD is not known to interact negatively with any other medications or supplements and is considered safe and beneficial for aging and elderly people as well as young children. 2) Long-term: daily regular use to promote systemic balance, stress-reduction and longevity. The anti-inflammatory action of CBD is useful for managing and reducing a wide range of chronic symptoms as well. In terms of cannabis (hemp), terpenes play a significant role. As new research is presented, we are beginning to understand that cannabis is more than its cannabinoid content. In fact, cannabis is composed of many compounds that interact in therapeutic ways. Similar to cannabinoids, terpenes interact with endocannabinoid receptors in the body to produce various effects. 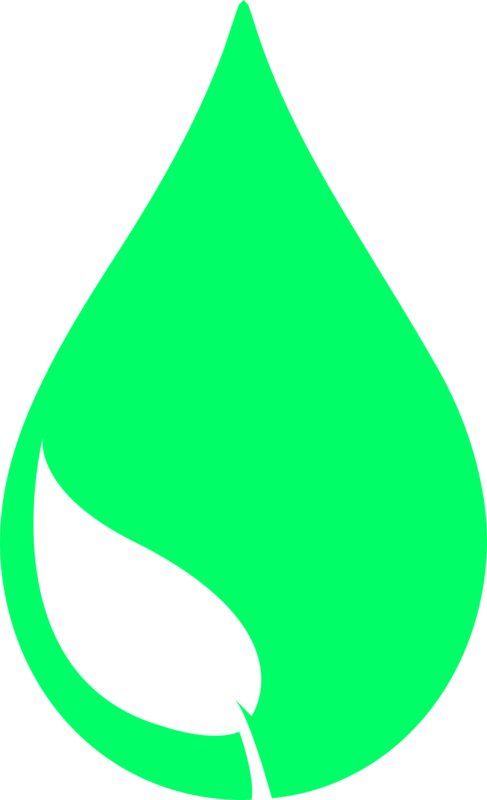 The effect of interaction can vary from terpene to terpene. Additionally, terpenes moderate our body’s interaction with cannabinoids. This synergy between cannabis compounds is known as the entourage effect. Research on the entourage effect has shown that the cannabis plant can be more effective as a whole in comparison to its individual parts. This research has opened the door for new studies on the interaction between cannabinoids and terpenes. 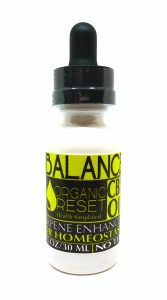 This Organic Full Spectrum Hemp CBD Oil Blend was created using Organic Colorado Grown Hemp and Special Organic Terpenes that help enhance the effects of certain cannabinoids which in turn help the nervous system, neurological system and hormonal system “Balance” out. This Blend can help you feel more calm, less anxious, less “moody” or “depressed”, along with many people reporting a balance in their hormone levels which helps with sleep as well. 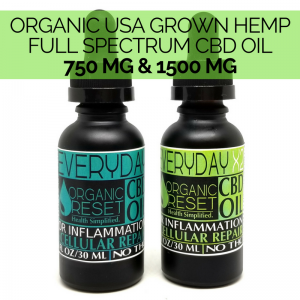 This Organic Full Spectrum Hemp CBD Oil Blend was created using Organic Colorado Grown Hemp and Special Organic Terpenes that help enhance the effects of certain cannabinoids which in turn help bring down inflammation and lessen the pain response. This Blend can help you feel pain relief, inflammation relief, calmer, along with many people reporting an improvement in many other symptoms as well. 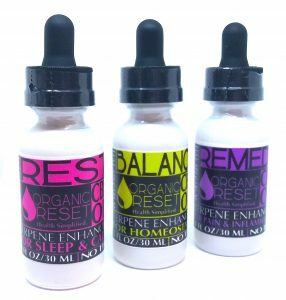 This Organic Full Spectrum Hemp CBD Oil Blend was created using Organic Colorado Grown Hemp and Special Organic Terpenes that help enhance the effects of certain cannabinoids which in turn help calm down the nervous system and balance the hormonal system. This Blend can help you relax, fall asleep easier, bring down inflammation along with many people reporting an improvement in many other symptoms as well. 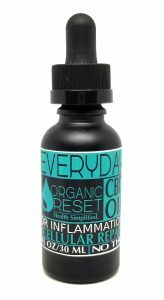 EVERYDAY is an Organic Full Spectrum Hemp CBD Oil which was created using Organic Colorado Grown Hemp, all the plant parts. It is carefully extracted to ensure that all of the potent Nutrients, including over 100 Cannabinoids, over 200 Terpenes, Antioxidants, Vitamins, Minerals, Amino Acids, Phytonutrients, Phytocannabinoids Enzymes and Essential Fatty Acids are left intact. There are no added Terpenes in our 750mg Full Spectrum Hemp CBD Oil. Our Potent, Pure, Effective CBD Oil can help with Pain, Inflammation, Blood Pressure, Blood Sugar, Auto-Immune Issues, Sleep, Anxiety, Depression, Cancer, Skin, Hair Growth, Tremors, Seizures, Focus and so much more. EVERYDAY X2 is an Organic Full Spectrum Hemp CBD Oil which was created using Organic Colorado Grown Hemp, all the plant parts. It is carefully extracted to ensure that all of the potent Nutrients, including over 100 Cannabinoids, over 200 Terpenes, Antioxidants, Vitamins, Minerals, Amino Acids, Phytonutrients, Phytocannabinoids Enzymes and Essential Fatty Acids are left intact. 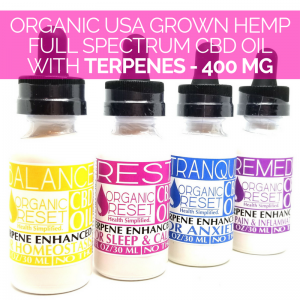 There are no added Terpenes in our 1500 MG Full Spectrum Hemp CBD Oil. Our Potent, Pure, Effective CBD Oil can help with Pain, Inflammation, Blood Pressure, Blood Sugar, Auto-Immune Issues, Sleep, Anxiety, Depression, Cancer, Skin, Hair Growth, Tremors, Seizures, Focus and so much more. 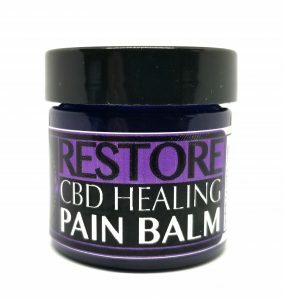 RESTORE Pain and Healing Balm is made using Organic Full Spectrum Hemp CBD Oil which uses all of the plant parts. It is carefully extracted to ensure that all of the potent Nutrients, including over 100 Cannabinoids, over 200 Terpenes, Antioxidants, Vitamins, Minerals, Amino Acids, Phytonutrients, Phytocannabinoids Enzymes and Essential Fatty Acids are left intact. We use incredibly powerful organic ingredients found only in nature that are proven to help heal pain, inflammation, infections, irritations, skin allergies, redness, skin flare ups and so much more. Just a little dab rubbed on the area that is bothering you and you will begin to feel instant relief. The ingredients found in our pain balm are: Active Full Spectrum Colorado Grown Hemp Extract, Grapeseed Oil, Beeswax, arnica flowers, cranberry powder, damiana leaves, lavender flowers, neem leaves, poppy leaves, whole-plant hemp extract, tea tree oil. We recommend using this with our REMEDY Oil or EVERYDAY Oil.